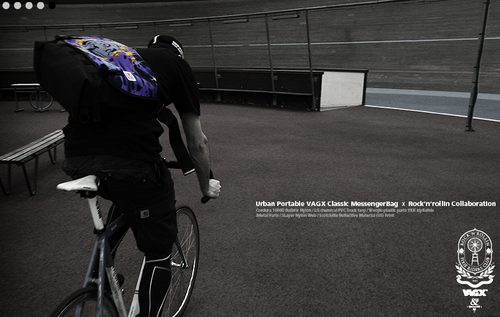 VAGX has stocked the Rock ‘n Rollin’ Fixie Riders Messenger Bag and tees. Check it out here, at the F.L.A.M. store.